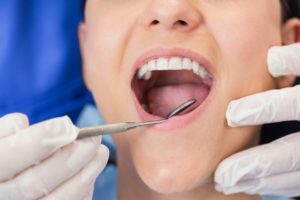 If you feel self-conscious about your smile and want to improve it or want to prepare for a special event, cosmetic dentistry can help you get the smile you’ve always wanted. 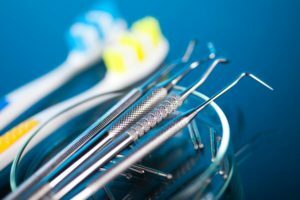 Cosmetic Dentistry involves a number of services that Dr. Matt can help you decide on to create a beautiful smile. 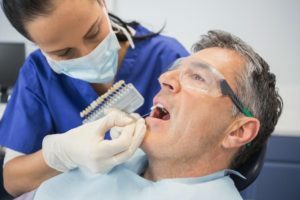 Unlike dental procedures for improving dental health, cosmetic dentistry is typically not covered by dental insurance and is elective. At Fulmer Family Dentistry, we offer a wide range of services to help you improve your smile. We offer teeth whitening services at our Conway dental office to help your smile shine. Whitening your smile before a big event can help you look great at the event as well as in photographs you’ll look at for years to come. Routine teeth whitening also helps your smile say beautiful and fight against the dimming effects of aging and staining foods. Whether you’re preparing for your wedding or want to look great every day, teeth whitening can help your smile look even better in just a one short office visit. Whitening your teeth at our Conway office is more effective than at home whitening because we use stronger whitening agents and can lighten your teeth up to 10 shades in under an hour. Dental veneers are porcelain shells that are bonded with your teeth to improve the appearance of your teeth. Often these are used to restore your smile after an accident that chipped your teeth or damage to your teeth that doesn’t affect their structure or strength. Dental veneers are placed on the front of your tooth with a strong adhesive and match your other teeth to give a natural look. Our Conway office has applied thousands of veneers and know the detail and skill involved in matching veneers to your natural teeth. Veneers are highly resistant to future staining, including cigarettes, coffee and other staining foods. Dental bonding is an alternative to dental veneers we offer patients in central Arkansas. Dental bonding involves etching the surface of your tooth and adhering liquid bonding material. Dr. Matt then applies a plastic resin to your tooth and shapes it to fit seamlessly with the natural part of your tooth. Dental bonding does not last as long as a dental veneer and is not as strong as your natural teeth. Usually they need to be replaced 3-5 years after they’ve been applied. Dental bonding is an alternative to veneers that is more affordable or to fix for smaller cosmetic issues to restore your smile.